I love the flavours in this dish – serve it either hot or cold – even when you are making it the kitchen smells so inviting, you are sure to have company! In a bowl, whisk together the peanut butter, sesame oil, vinegar, chiles, siratcha, and soy until smooth – add lime juice and oil. Taste for seasoning and adjust if necessary. 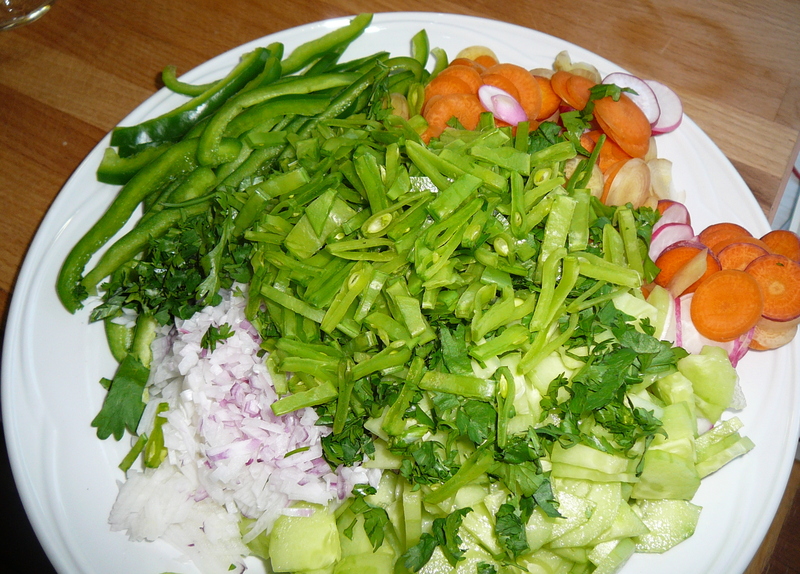 Prepare vegetables – use your imagination when preparing this – I have suggested a few, but go ahead – throw in some snap peas, or carrots, or radishes …. Combine all ingredients and stir well. Garnish with peanuts, scallions and cilantro. This is the perfect accompaniment to Thai Barbecued Chicken – check out that recipe too! 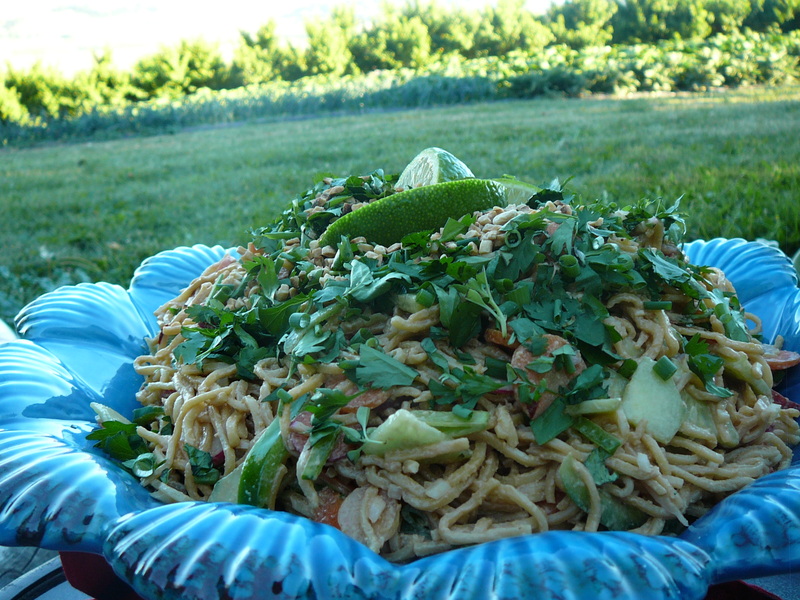 This entry was posted in Asian, One Dish Wonders, Recipes, Salads, Vegetables and tagged noodles, peanut, rice noodles, sesame, tahini, Thai, vegetables by Chatty Kathy. Bookmark the permalink.